Celery originated in the Mediterranean. Most people are familiar with the fragrant and flavorful celery, but not everyone knows that its seeds are just as useful and as nutritious as the plant’s stalks. Celery seeds are usually small, dark brown, and taste and smell like celery stalks. Celery is a vegetable in the plant family called apiaceae. Celery seeds are used as a spice, whole or ground. Celery seed isn’t a flavor powerhouse by any means, but it’s a surprisingly versatile spice and is one of the most convenient ways to deliver a recognizable flavor to a dish. But while celery seeds are well-known in Eastern medicine, only a handful of people in Western territories know about the numerous uses of this spice. 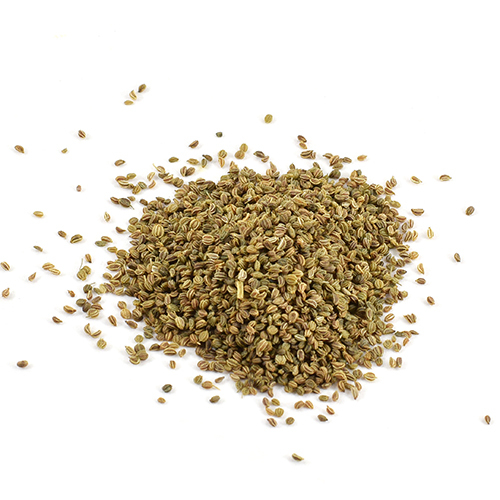 Celery seed is a common kitchen staple used in salads, dressings and other recipes. If you’re into making your own pickles, celery seed is your natural friend. It’s the grassy compliment to barbecue sauce and spice rubs for grilled or smoked meat. The humble celery seed is just waiting to be used in countless sophisticated flavor combinations. When used in small amounts with considered flavor combinations, it adds refreshing vegetal sweetness that easily cuts the otherwise overpowering richness of some dishes, without all the fuss of the actual vegetable. tant moisture. It will not tolerate heat and can be hard to transplant. Celery is a biennial plant, which means that it won’t flower until the second year and you certainly can’t start harvesting celery seeds until then. As time marches on, the white petals will begin to fall off and the ovary will swell. This is where the seed is developing. You know it is time to harvest when the seeds fall off at the slightest touch or breeze.